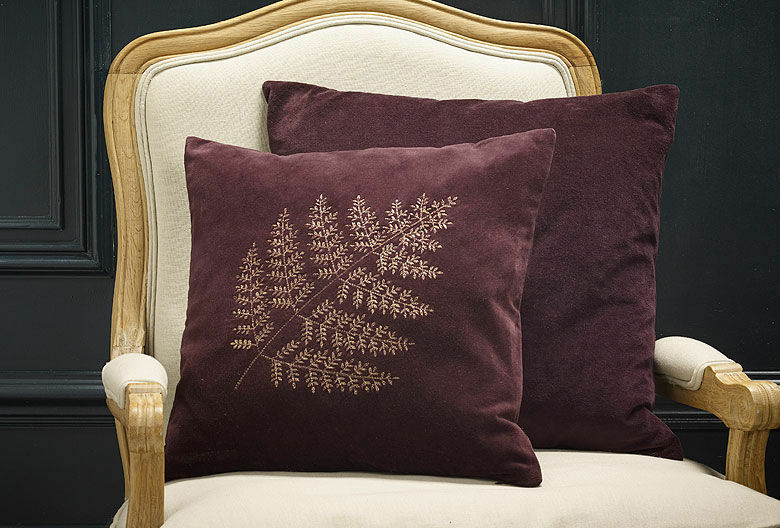 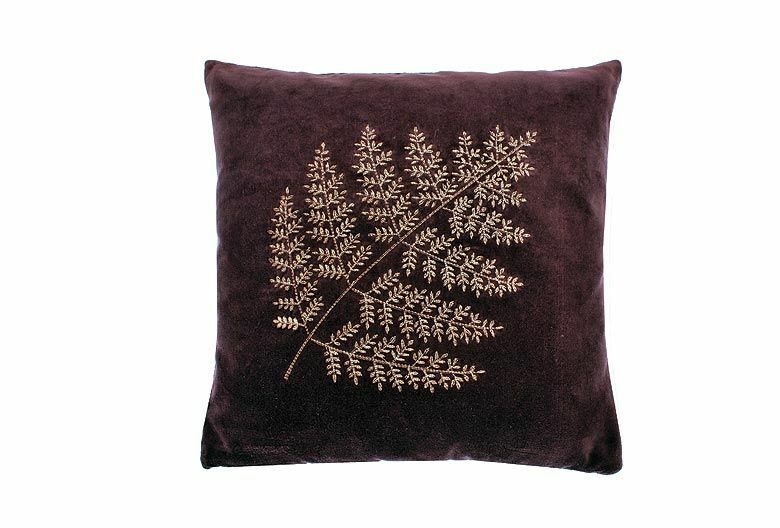 Square cushion in 100% cotton velvet in aubergine with a beautiful fern embroidered in bronze thread. 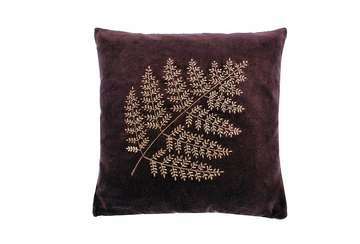 Stunning for Autumn/Winter with faux fur throws and cushions in grey, aubergine and ochre. 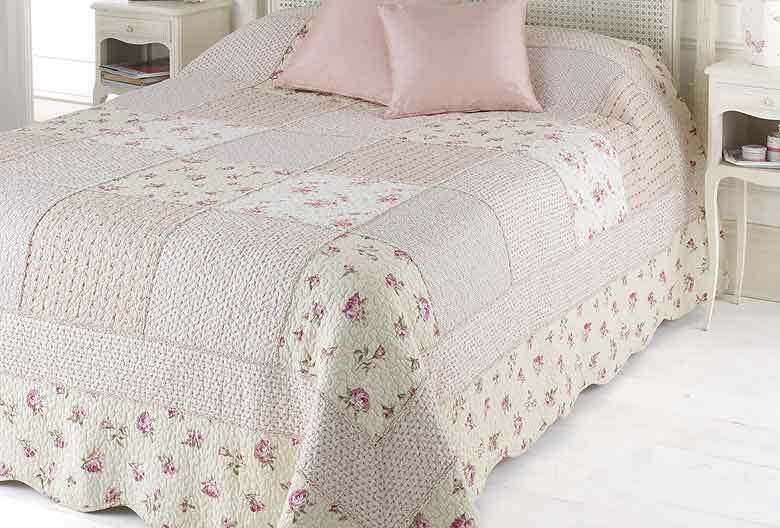 Removeable cover with concealed zip.